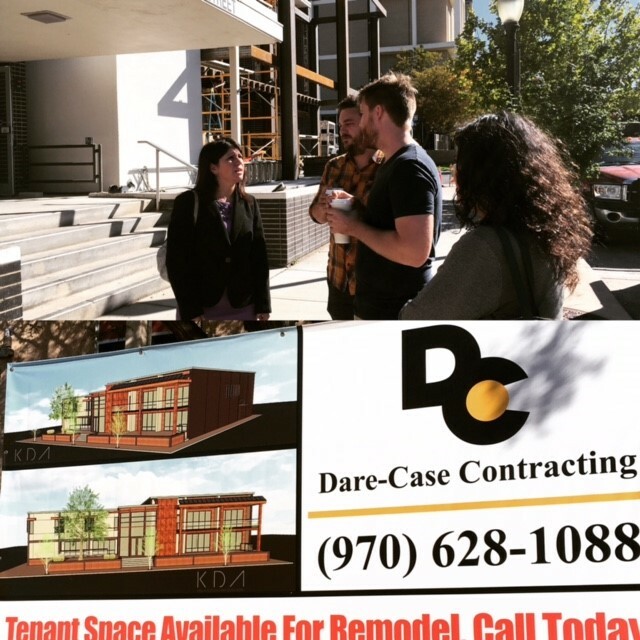 October 21, 2016 – You’ve probably already heard quite a bit of buzz around the Factory, a coworking space in downtown Grand Junction slated to open up later this month. At GJEP, we’re excited to welcome our new neighbors, which promise to be a creative, innovative bunch that’s plugged in – figuratively and literally. Among a number of amenities, the space will offer high-speed internet access that surpasses anything we’ve seen in the city to date, and state-of-the art conferencing equipment for telecommuters. The team at LAUNCHWestCO also promises to bring regular events to the space, like their popular “Beer and Business” nights, as well as new education opportunities. Get more details below, or visit the Factory’s website. like-minded people,’ [LAUNCHWestCO co-founder Brian] Watson says. The Factory is scheduled to open in the middle of November, occupying 4,700 square feet of an 18,000-square-foot building at 750 Main St. that once was owned by Mesa County. The Factory constitutes a collaboration among five partners, starting with Launch West CO, a group Watson and [Josh] Hudnall founded nearly two years ago to bring together software developers, designers and other entrepreneurs. Proximity Space, a shared space facility in Montrose rated in Forbes magazine as the best in the world, also is involved in the Factory. The Colorado Advanced Manufacturing Alliance plans to open in the Factory what it calls a Fuse Impact Center and provide monitors, computers and other equipment to conduct video conferences and share information. Mesa County Libraries will provide resources to the Factory and offer limited access to the facility to those with library cards. Alpine Bank has agreed to serve as a corporate sponsor. Photo taken during a tour of the Factory coworking space with Mesa County Commissioner Rose Pugliese.